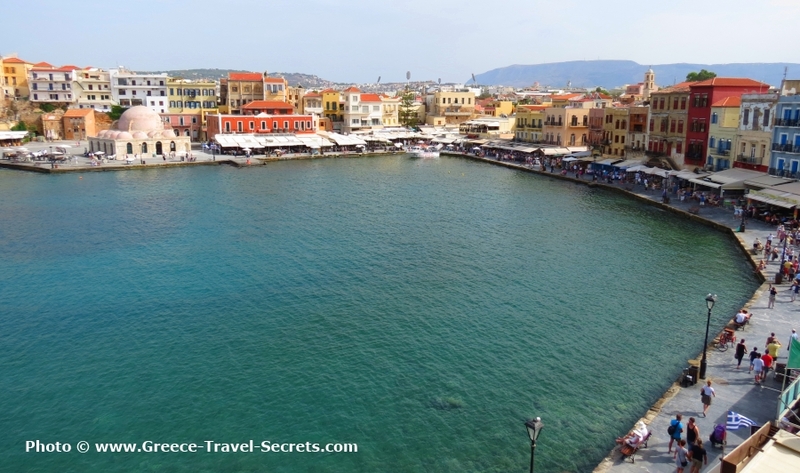 Crete (Kriti in Greek) is the largest of the Greek islands, another country almost, and the Cretan people proudly call themselves Cretans first and Greeks second. And they have much to be proud of, as theirs is a stunningly beautiful island, with dramatic mountain scenery, some of the best beaches in Greece, a strong musical tradition, one of the healthiest diets in the Mediterranean, the amazing Minoan palace of Knossos just outside the capital, Iraklion, the Samaria Gorge, and some of the chicest Greek hotels in pretty harbour towns such as Chania and Rethymnon. There are popular holiday spots like Agios Nikolaos and Elounda too, as well as important historical monasteries like the Arkadi Monastery. You can have a great vacation here just lying on its beautiful beaches, but it's an island that will appeal to those who like to get out and about. Crete has got everything, and we've loved the many visits we've made there. 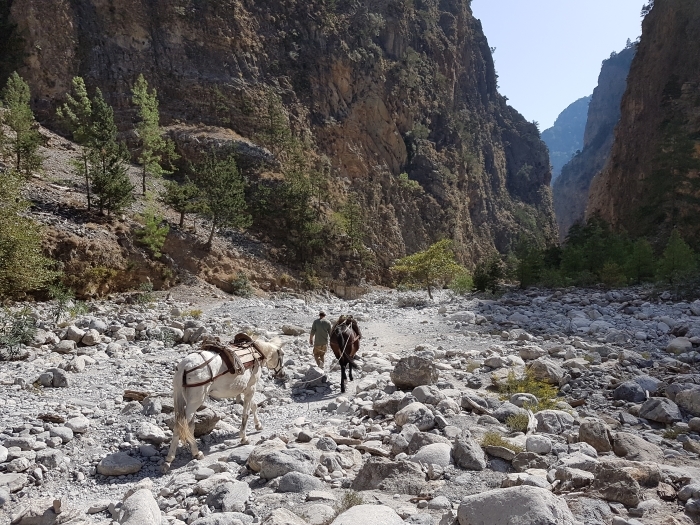 We've hiked its gorges, visited its monasteries, explored its archaeological sites both large and small, dined in its restaurants from the cheap to the gourmet, drunk its wine, sunbathed on its beaches and listened to its music. We've never ceased to be overwhelmed by its atmosphere and character. One visit to Crete and the island gets under your skin. Crete also has lots of busy beach resorts, with a brash and noisy nightlife that goes on all night, so if that's what you want you should check out places along the north coast, like Malia. 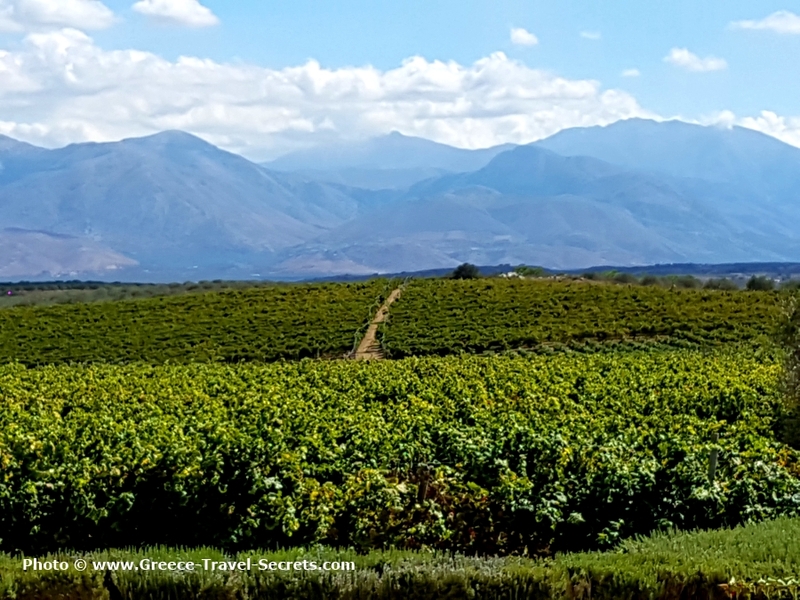 The south coast is a bit less easy to get around, and the towns and villages here tend to be a little less developed for tourism. 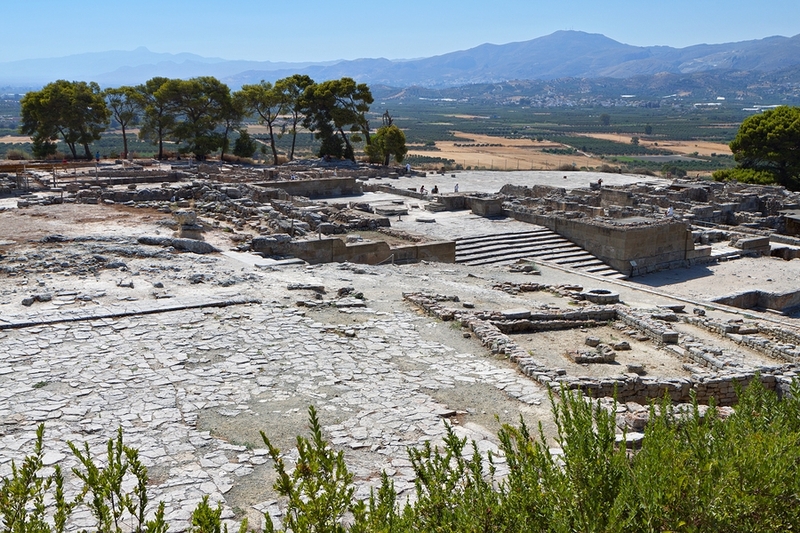 You also have the site of the Minoan Palace at Phaistos, which some people enjoy more than Knossos, and several archaeological sites, like Ancient Gortina. Down the spine of the island is a range of mountains, which keeps the north and the south apart, and all over you'll find beautiful drives and challenging hiking and biking opportunities. Our Hire Car in Crete to see why we recommend it. Crete is a long, thin island, so if you want to explore all of it there's no one ideal place to be based. If time is limited, you'll need to do your homework and decide whether to concentrate on the east, the west or the centre. The Samarian Gorge is in the west, Knossos in the middle, and in the east is more the 'real' Crete, which is a bit less busy. The main airport is near Iraklion, in the middle, though there's another international airport near Chania in the west and a domestic airport with international ambitions at Sitia in the east..